Joan Zwagerman, age 84 of Zeeland went to her heavenly home Saturday, April 6, 2019. Jerry (Delores) Kraai of Irons; sister-in-law Elaine Kloosterman and brother-in-law Marvin Zwagerman. She was preceded in death by her husband Gordon in 2010. 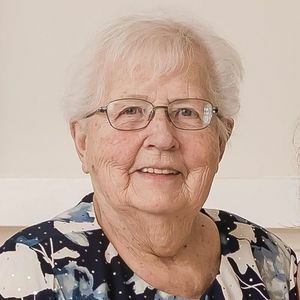 Joan worked at Howard Miller for several years; she drove school bus for Zeeland Public Schools and served as church secretary at First Christian Reformed Church where she was also a member. Joan and Gord raised their children on the farm they bought on 84th Avenue in Zeeland in 1962. She enjoyed gardening, quilting, baking cookies, playing cards and attending her kids and grandkids sporting events. Add your thoughts, prayers or a condolence to Joan's guestbook.